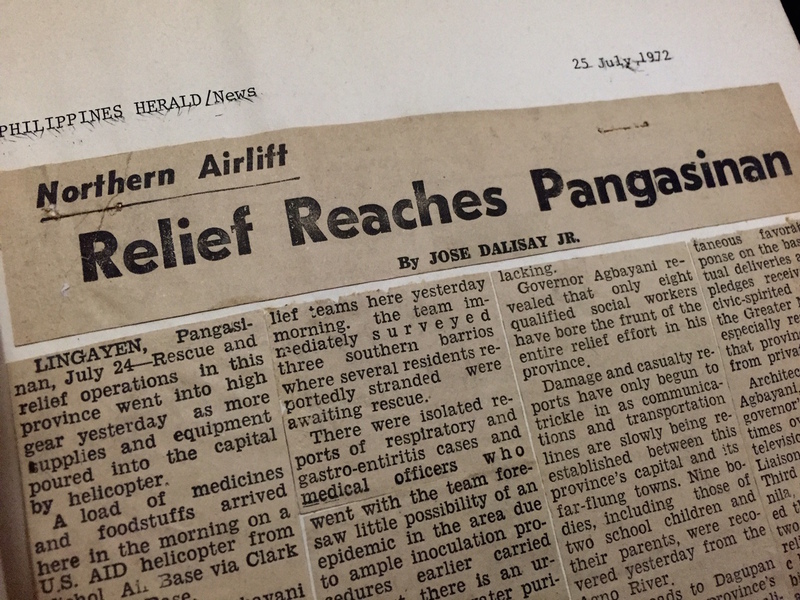 LAST WEEK’S look back at my early days as a journalist brought back a flood of memories that hadn’t crossed my mind in ages, so I’ll beg my reader’s indulgence with this extended reminiscence of what it was like to be a young newspaper reporter just before martial law was declared in September 1972. Come to think of it, that first stint in journalism didn’t last too long, from April to September of that fateful year. (I keep saying “first” because I would return to newspapering more than 20 years later in 1993, as an editorial writer and then Lifestyle columnist for the late, lamented newspaper TODAY.) To recap, I was 18, and my bosses at the Philippines Herald had taken a chance on a college dropout who barely knew a thing about professional newspapering but who seemed to be able to string sentences together decently enough—and fast. Man, was I fast—I was so eager to impress my editors that I jumped at assignments the way a dog goes after a ball, and when my editors found out about the new boy in the room, they assigned me to fill up half of Page 5—the features page—every day. The topic was up to me. That sounded like the most wonderful thing in the world—imagine, my own corner of the newspaper, all mine to fill up!—for about three days. I took stories out of history books and turned them into features; I wrote about the latest crazes like fun houses and pool halls; and when, inevitably, I ran out of ideas, I took a bus out to Tagaytay, got off, and looked around for anything that I could weave a feature story from (I saw a drug rehab center in the distance and got a story out of that; I did the same thing in Muntinlupa another day and interviewed a Death Row convict). Of all the beats I was assigned to, the most exciting and instructive was police. I took the graveyard shift at the old Manila Police Department headquarters and from there covered mayhem at its worst—an 18-year-old American girl who shot herself in the mouth at the Dutch Inn; a nighttime fire that razed a hospital in Dapitan (I can still recall the sickening thud of falling patients who jumped off the roof in desperation; my specific task, early that morning, was to count all the bodies in the morgues); demonstrations at the US Embassy where I could see the police preparing for an assault on the rallyists, many of whom happened to be my friends (prompting me, again, to break journalistic protocol by picking up the injured in our service jeep and bringing them to the hospital). I grew inured to the sight and smell of blood, and I can say, today, that I had no better preparation for the kind of realist fiction that I would come to write than those weeks on the police beat, confronting death by the day (which didn’t make me feel any braver, but rather more aware and respectful of the finitude of life). It was all very exhilarating, even in the most difficult and trying of moments; sometimes the toughest tests took place in the newsroom itself—once, for example, I was driven close to tears by having to rewrite a story half a dozen times to please an editor who, I now realize, was teaching me a valuable lesson in verbal economy. Coming off the beats as a general assignments reporter, I looked forward to and did get some assignments that no other teenager would have experienced. At the onset of the biblically catastrophic July-August floods of 1972, I was put on board an amphibious ship that sailed in the night from Manila to Lingayen Gulf, and I covered rescue operations in Pangasinan, riding rubber rafts and flying out in a US Army helicopter that dropped us off at Clark Air Base, then still busy with the Vietnam War. Also at about that time, I volunteered to go to Isabela to cover the reported landing of a shipload of arms by the CPP-NPA, convinced (wrongly—it turned out to be the MV Karagatan episode) that it was a military hoax that I could heroically unmask; sensibly, my bosses told me that I was too young—they didn’t say too foolish—to undertake the mission. Instead, I stayed in Manila, and interviewed Mrs. Marcos in Malacañang about her relief efforts in front of a mountain of Nutribuns. Like I said last week, I soon resigned in solidarity with a union strike at the Herald, and was half-surprised when management accepted my resignation. I finagled my way to a spot at Taliba (in the Manila Times organization that it had been my dream to join one way or the other) as suburban correspondent, and it was in that capacity—albeit outside my assigned zone in Makati—that I filed, or at least called in, the last story of my brief reportorial career. It was the night of September 22, 1972, and I was on the UP campus, not as a journalist but as an off-hours activist hanging out with comrades and fraternity brothers to denounce the imminence of martial law. Within four months, I would be in prison, still aged 18. Another year later, I would get married, on my 20th birthday. Life seemed terribly short, and I was in an awful hurry, hardly imagining I would last on to seniorhood. Today, I tell my Creative Writing majors that they may think of themselves as God’s gift to literature, but until they’ve spent a week or two as a reporter, sniffing out a story, they should shut up and be happy they can write odes to the moonlight without an editor screaming at them for a tighter rewrite. I WAS very sad to hear of the recent passing of an old colleague from my first foray into journalism—Nemesio Dacanay, who was then the City Editor of the Philippines Herald, one of the pre-martial law period’s smaller but pre-eminent newspapers. A relative of his texted me about his death and interment, but I was out of town and felt bad that I couldn’t even pay my respects in person, so I’ll do it here. Five years ago, in this column, I had to issue an apology—and I was happy to do so—having inadvertently suggested in a previous piece that “Dac” had passed on to the hereafter. As it turned out, he was still very much alive, as his daughter Christine reminded me. This time, unfortunately, the news was real. The story of my connection to Dac and of how I got into the newspapers is something I may have told before in bits and pieces, but here it is in full. The time was early 1972, and I had just turned 18. I was already a full-time activist, having dropped out of my classes in UP, a lanky, chain-smoking lad who was already a veteran of many a Plaza Miranda march and of the Diliman Commune. 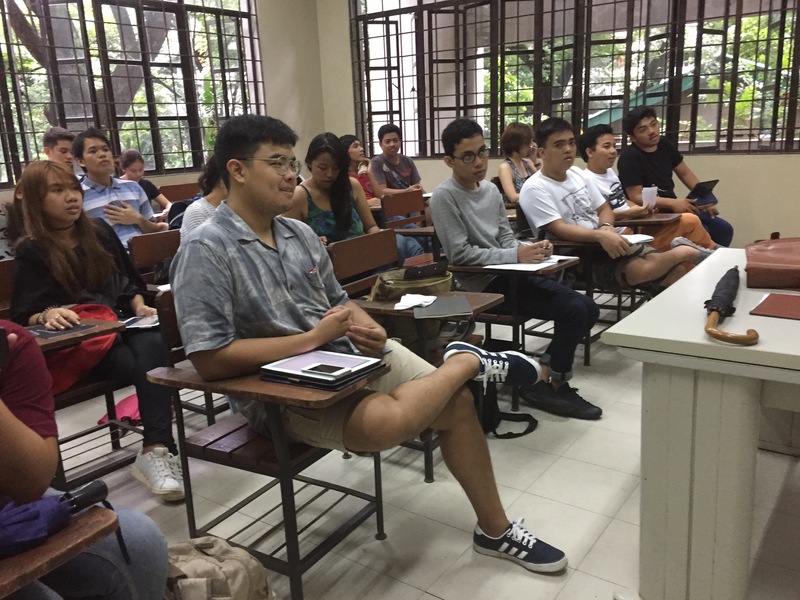 In UP, I hung out with a group of older Journalism majors who were close to graduating and who would, very shortly after, begin to make a name for themselves as reporters—people like Wilson Bailon, Rolly Fernandez, Jun Engracia, Efren Cabrera, Rod Cabrera, and Val Abelgas, among others. I had great respect and admiration for these guys, but at the same time, it annoyed me to know that they were soon going to find and land jobs, while I—technically still a freshman, with but 21 completed units to my name (3 of them good for a “5.0” in Math, the consequence of absenteeism)—was going to be left behind. I should explain that at 18, I had no greater ambition than to become a journalist. I’d written some stories, poems, and plays, but I had no plans of becoming a creative writer, and might even have thought journalism superior to poetry (and why not?). I had been editor in chief of the school paper at Philippine Science High (following in the gargantuan footsteps of Rey Vea, Mario Taguiwalo, and Rodel Rodis), and I found that I savored the romance of printers’ ink and hot lead (that’s “lead” with a short E for you young ones, the molten metal that magically turned into letters in reverse). As soon as I stepped into UP, at 16, I did the three things I’d put on my agenda, after enrollment: join the Nationalist Corps (and later the Samahang Demokratiko ng Kabataan, or SDK), join the Alpha Sigma Fraternity (to which high school heroes like my Physics teacher Vic Manarang and firebrand Gary Olivar belonged), and join the staff of the Philippine Collegian. As you can see, as a teenage Maoist, I had no idea of and no patience for “objective” and “dispassionate” journalism. I hadn’t even taken one formal unit of Journalism in UP (I was an Industrial Engineering major, and still plowing through my GE subjects) and had embraced the notion that journalism was and had to be a partisan activity, convinced that Malacañang had bought 90% of the Philippine press, with the notable exception of progressives like Tony Zumel, Satur Ocampo, and Rolly Fadul, and young blood like Roz Galang and Millet Martinez. We were going to be the vanguard of what we called the Second Propaganda Movement. 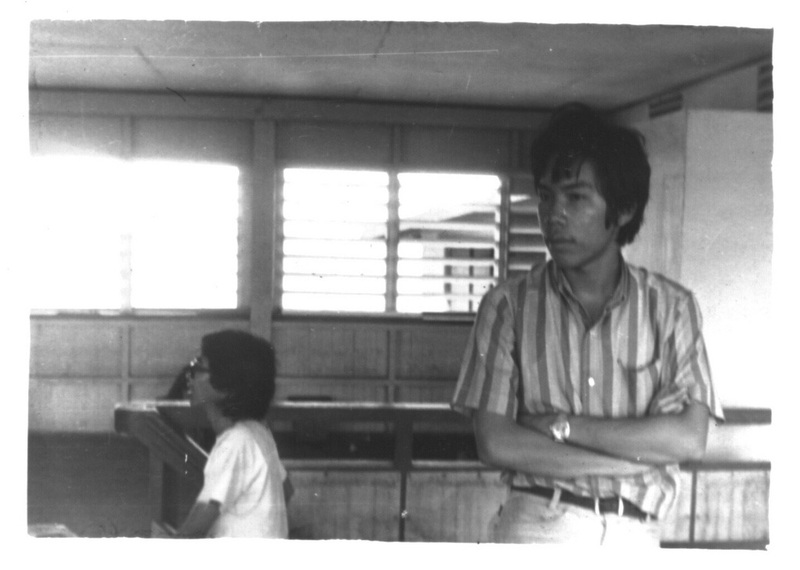 But I didn’t want to be stuck on campus; it was a wide-open arena beyond Diliman, so when my friends began applying for jobs with the newspapers shortly before graduation in early 1972, I tagged along, hoping to land something, anything. (I’d already written and sold a teleplay to the TV drama anthology Balintataw in 1970, when I was 16, so I didn’t lack in self-esteem.) I remember walking up to the editor of the Manila Chronicle, Amando Doronila, and boldly announcing that I wanted to apply as a reporter. “How old are you?” the man asked in all reasonableness. “Eighteen,” I said. “Come back in a few years,” he suggested, not unkindly. I stepped out of the Herald on a floating cloud—I was positive I would deliver as directed. Over the next three days, not knowing anything about real newswriting, I walked around the Quezon Memorial, waiting for some dreadful accident to happen that I could breathlessly report on. The world remained blissfully peaceful, and the only thing that came crashing down was my dream of becoming a journalist. On the third day, I was so tired and depressed that I took a jeepney to the Delta Theater, and decided to cool off in the moviehouse. I watched the screen. The movie was so awful I can’t even remember its title. When it was over, I went home, collected my thoughts, and pulled out my typewriter. THE LAST time I thought about Ernest Hemingway, it was a few weeks ago when I was teaching his controversial 1927 short story “Hills Like White Elephants,” one of my all-time favorites for its compactness and subtlety, not to mention its grasp of human psychology. Coincidentally, when I was giving that lecture, one of the pens in my pocket was an Ernest Hemingway—the first in a series that Montblanc called its Writers Edition pens, issued in 1993. 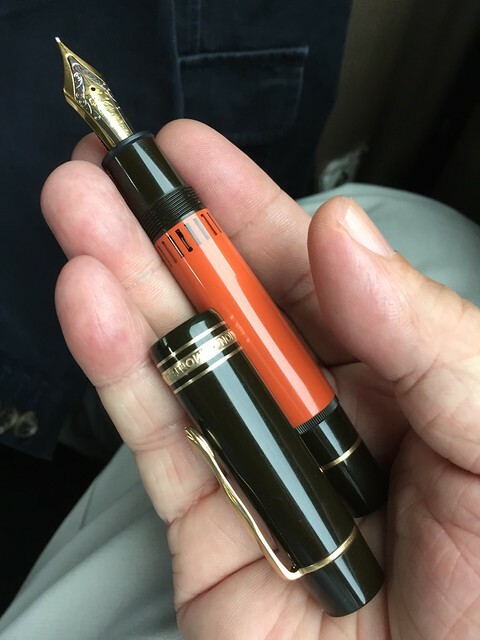 Considered one of the “holy grails” of pen collectors, it had been generously given to me by a fellow member of the Fountain Pen Network-Philippines (www.fpn-p.org); we had a small business arrangement, but the cost of my own service was so negligible that the pen was practically a gift, most thankfully accepted. 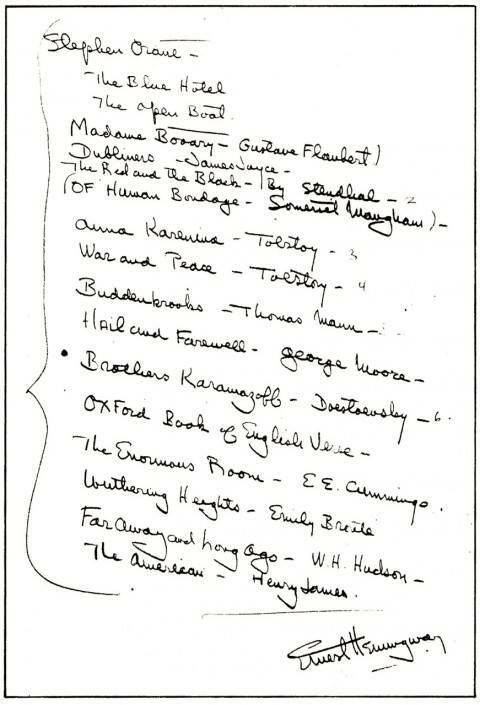 I’ve since located an online sample of Hemingway’s handwriting—likely in pencil—which has him drawing up a list of recommended readings for young writers (among them, Stephen Crane’s short stories, Madame Bovary, The Brothers Karamazov, and The Oxford Book of English Verse). It’s comforting to know that his penmanship is a lot like mine—cramped, stiff, and generally ugly. But back to Hemingway in Manila. Flying to Hong Kong by Pan Am Clipper from San Francisco via Honolulu and Guam, Ernest and Martha stopped by in Manila for a few days and stayed at the Manila Hotel, and managed to meet with representatives of the Philippine Writers League, which was then led by Federico Mangahas. There’s a picture in the Flickr photo gallery maintained by Malacañang’s Presidential Museum and Library (whose Director, Edgar Ryan Faustino, just happens to be a member of FPN-P), taken from A.V.H. 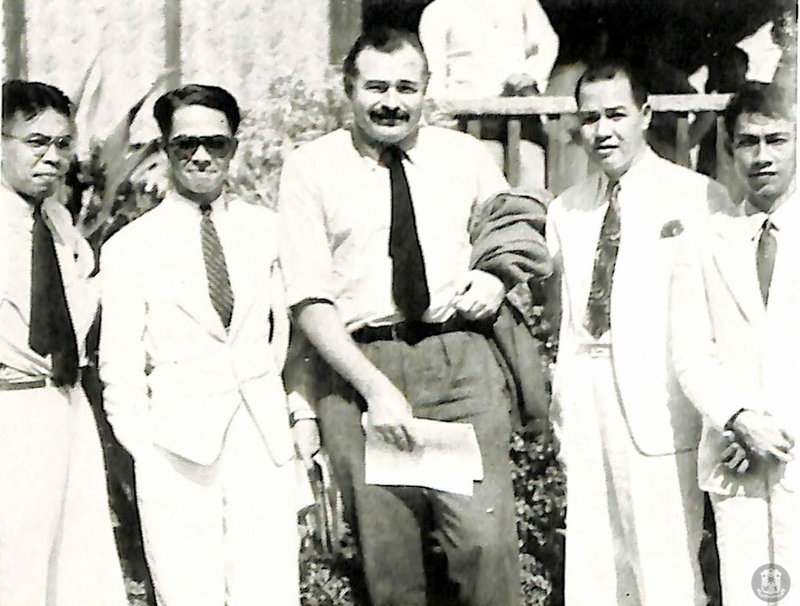 Hartendorp’s Philippine Magazine, showing Hemingway meeting with Filipino writers. Unfortunately I couldn’t access the rest of the Monteiro article online (you need membership access to Project MUSE), but I read enough of it to understand that brief as it was, Hemingway’s stopover created quite an impact, enough for the Manila Hotel to use a quote from the big guy as one of its taglines: “If the story’s any good, it’s like Manila Hotel.” The bayside hotel, founded in 1912, has of course hosted other luminaries such as Douglas MacArthur, John Wayne, John F. Kennedy, and the Beatles, aside from another popular postwar writer, James Michener. As we all know, Hemingway killed himself with his favorite shotgun in July 1961, seven years after receiving the Nobel Prize for literature, in a fit of depression. It was a sad ending to a many-splendored life that we were privileged to glimpse, however briefly.